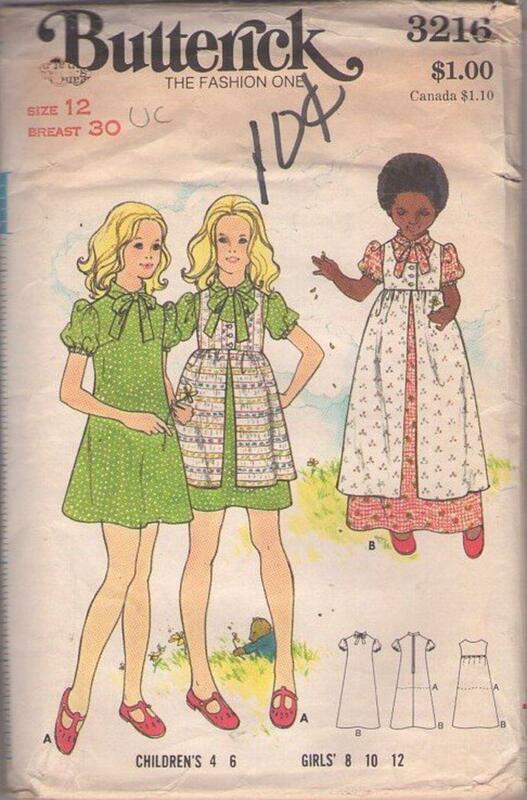 Bust 30", Waist 25.5", Hips 32"
70s Children, Retro Party or School Clothing Patterns - CHILDREN'S & GIRLS' DRESS & PINAFORE. Semi-fitted, A-line dress in two lengths has biasfold-over collar extending into ties and short puffed sleeves with elastic. High-waisted pinafore has scoop neck and gathered skirt.